12 Comments on To Grandmother’s House We Go! My mom packed us activity bags for our road trips when I was younger and I LOVED them! Kept us busy for the 3 and 4 day road trips we took! This is a neat idea. The boys only have toys at Mema’s so packing side walk chalk and other outdoor activities they could do would be a great idea. 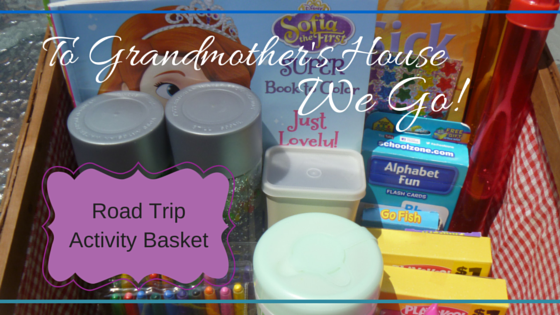 I would definitely pack a separate for the car that would include coloring books, travel printable games, reading books and snacks. This would be perfect to take along to Mema’s when the boys visited. Not only would it keep them occupied during the ride but also during the visit. 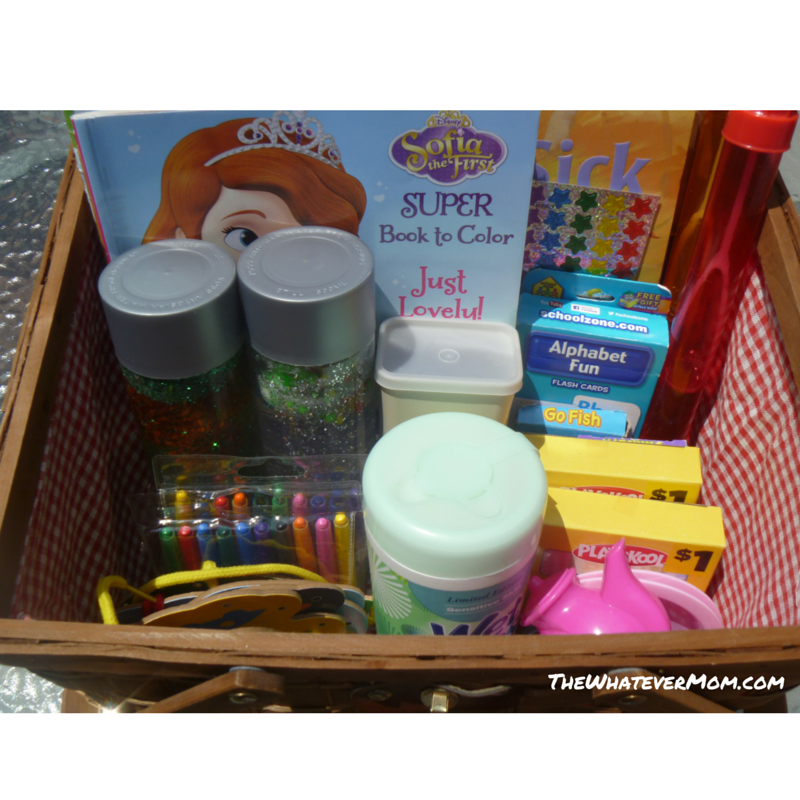 I have a activity basket that I keep in the car with snacks, coloring books, crayons, stickers, reading books and travel printable games. 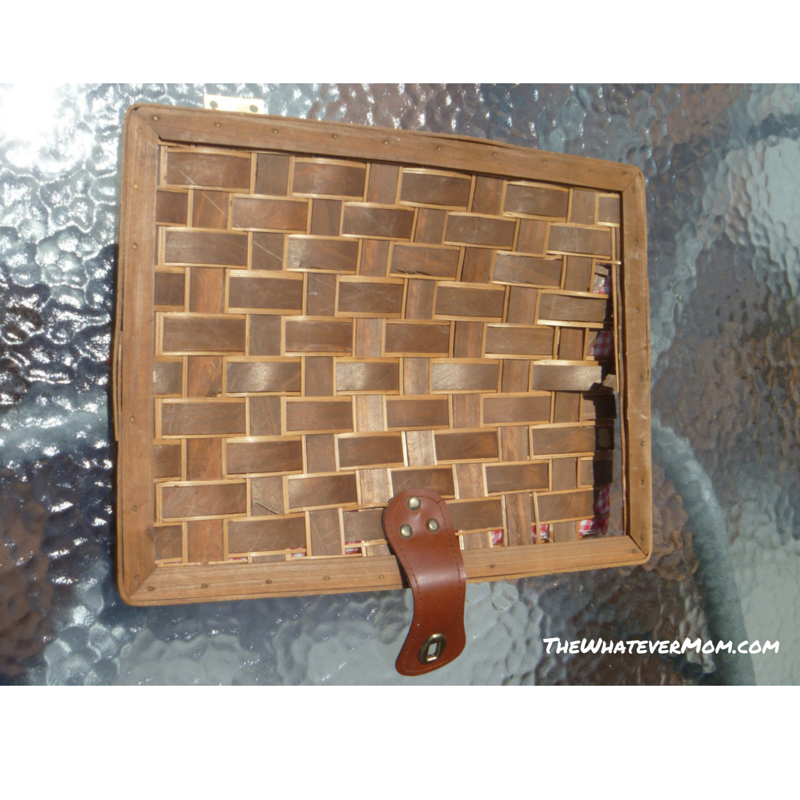 Great ideas for traveling anywhere, even the cabin or the beach! Thanks for sharing! This is so fantastic! We do something similar! What a great idea! My kids don’t have grandparents anymore but if they did I would love to do this! Smart Idea. We’ve always had something in the back of the car to entertain kids at all times. This is perfect! 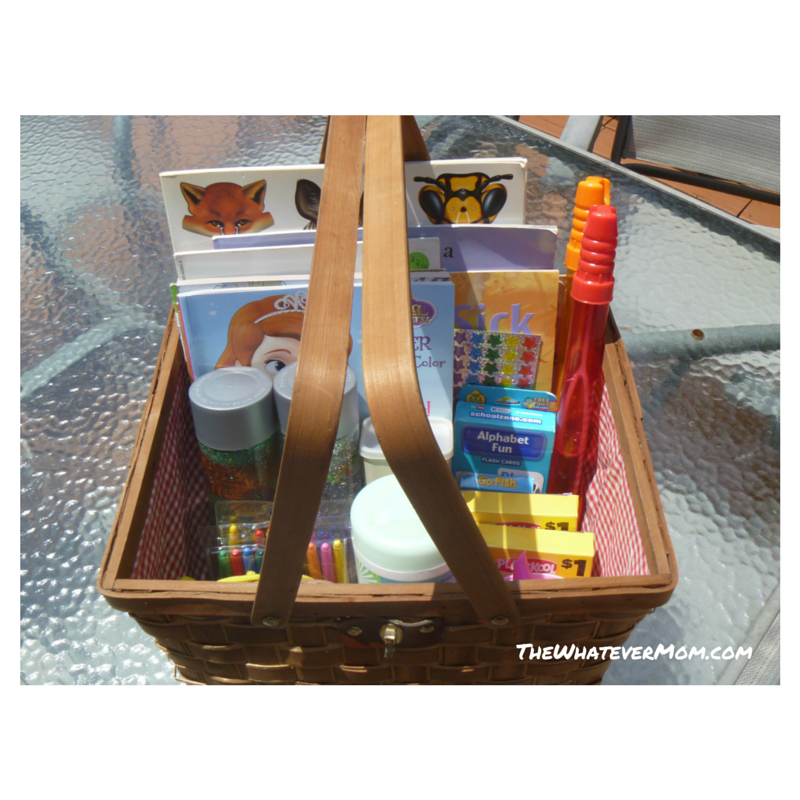 Activity bags and baskets will definitely be around my household when I finally have kids of my own. 🙂 Love how you repurposed the broken basket as well! Cool idea, I probably should have this permanently in my car. the only time my kids bring with them an activity bag is when we go to church. I actually have a caddy in between their car seats, but they can’t reach it. (I thought I was being efficient lol). Easier for me to send things back to them, or hand off a new activity when I’m at a stop. This is such a cute idea. Typically on a road trip to grandmas my little one usually falls asleep because I like to do it during his nap time. I wonder how long that will last!